West Sacramento, CA - The Sacramento River Cats and BloodSource are teaming up yet again for the fifth annual Raley Field Blood Drive on Friday, August 4. Both parties are excited to continue this partnership into its fifth year and beyond. "We have had incredible success partnering with the River Cats these last five years," said Heather Sharp, BloodSource Account Manager. "Every year we are thrilled with and proud of the response from the West Sacramento and Sacramento communities. I know that I speak for the River Cats when I say we're eagerly anticipating our fifth successful drive." Every two seconds, someone in the U.S. needs blood and the summer can be a challenging time for BloodSource and other organizations to collect blood. High schools and colleges - where many blood drives are hosted - are on summer break, while many regular blood donors are on vacation and unavailable to donate. In addition, prospective donors often become deferred due to the effects of travel. Drives like the one at Raley Field provide an alternate location and opportunity for regular and new donors. "This drive has become an important part of both the River Cats family and the Sacramento region," added Greg Coletti, Vice President, Partner Services for the River Cats. "We're proud to continue to partner with BloodSource to bring this drive to Raley Field year after year." 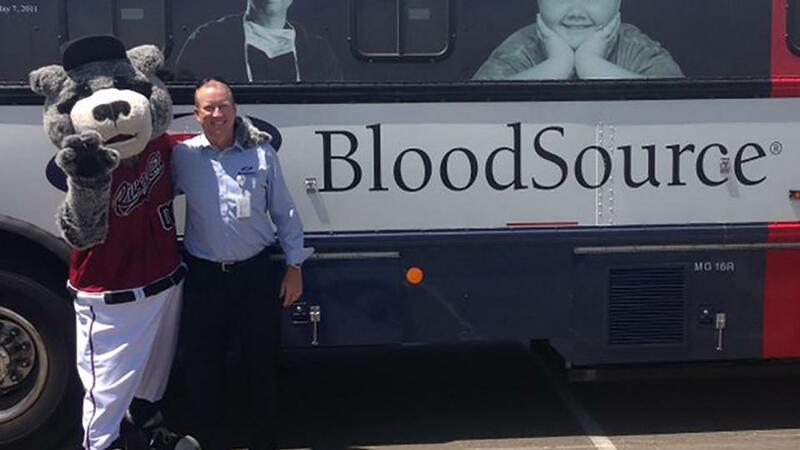 BloodSource has been this area's nonprofit community blood provider since1948, and serves patients in more than 40 hospitals throughout Northern and Central California. It is a Blood Systems blood center. Blood Systems is one of the nation's oldest and largest nonprofit community blood service providers, currently serving more than 1,000 hospital and healthcare partners across 28 states to provide comprehensive transfusion medicine services for patients in need.